LSSAH provided troops for the Anschluss, the annexation of Austria in 1938, after which it was reorganized as a motorized infantry regiment with support elements. It really saw combat for the first time in Poland the next year, attached to an Army division. But when the first SS divisions were created on October 1939, LSSAH was not among them: although it ranks first in the Waffen-SS’ numbering, it was only expanded to division status after the SS-VT-Division (soon to be renamed Das Reich) and Totenköpfe-Division. While the latter two were part of large SS organizations with access to a huge pool of available manpower to tap into to fuel their expansion, LSSAH with its very strict racial, political and physical criteria didn’t have such reserve. Hence it was still a regiment when it took part in the campaign of France in 1940. Stationed in Metz (France) after the campaign, LSSAH was expanded nonetheless: although it retained the designation of a motorized regiment, it was brought to brigade strength with organic Flak & assault gun elements. It then took part in Unternehmen Marita, the invasion of Greece where it fought alongside 9. Panzerdivision, racing to the sea to capture as many retreating Commonwealth-Greek troops as possible before they could evacuate to Creta or Egypt. As a recognition of its performance in Greece, LSSAH was finally expanded to a motorized infantry division. But such reorganization couldn’t be performed in time for Unternehmen Barbarossa, the invasion of the USSR, hence LSSAH entered Russia once again as a brigade-size battlegroup and held in reserve in the first part of the campaign. It was later to be involved in the battles for Kiev, Crimea and Rostov, taking heavy casualties especially during the Soviet Winter offensives and the subsequent German Summer counter-attacks. 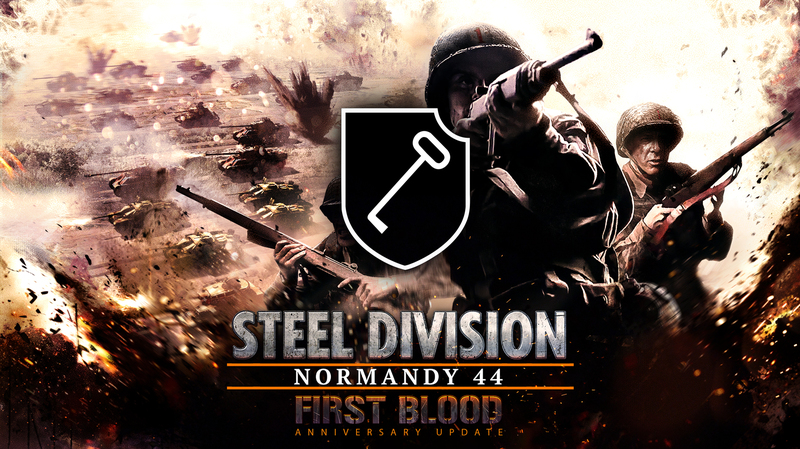 Its ranks depleted, the division was pulled out of the frontline in late Summer 1942 and brought back to France for refitting and reorganizing as a Panzergrenadier-Division. 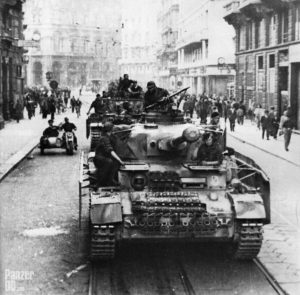 Yet, with the SS divisions’ way of having one more battalion per infantry regiment than Army ones, and the fact that SS leadership managed to successfully lobby Hitler for more equipment for its divisions, LSSAH as well as Das Reich & Totenköpf ended up with a full Panzer regiment (instead of a mere battalion) and even a Tiger company each. They were, therefore, Panzergrenadier-Division only by name, having de facto more strength and firepower than any Army Panzerdivision! After the encirclement and subsequent surrender of the 6. Armee in Stalingrad, LSSAH as part of the newly formed SS-Panzerkorps was rushed back East to help stabilize the collapsing Southern front. Despite strict orders from Hitler not to do so, SS-Panzerkorps‘ commander Paul Hausser ordered his divisions to abandon the strategic city of Kharkov to avoid being surrounded. Soon afterward, in March 1943, the city was retaken in a swift SS counter-attack that destroyed most of the overextended Soviet forces and in which LSSAH played a key role. It was the Waffen-SS’ day of glory, on which Himmler will thereafter capitalize to advance his scheme of replacing the “old reactionary Army” with his new breed of “political soldiers”. It was also one of LSSAH‘ worst days of infamy when, after the capture of the city, it transferred hundreds of wounded Soviet soldiers into a hospital before locking the doors, setting the building on fire and shooting anyone trying to escape the flames. Given a short respite to refit, LSSAH got a new commander for the first time since its creation in 1934: “Sepp” Dietrich being promoted to corps command, the division was now to be led by Theodor “Teddy” Wisch, an officer whose entire career had been made within LSSAH. In July 1943, the division took part in the battle at Kursk. With LSSAH in the lead of the Southern pincer, SS-Panzerkorps was on the verge of a decisive breakthrough when the Soviet counter-attacked. 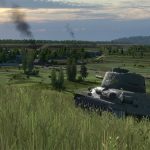 The battle of Prokhorovka, (wrongly) regarded as the greatest tank battle in History, was the climactic point of the battle and despite the Germans inflicting dreadful losses to their Soviet counterparts, brought the SS advance to a halt. Soon, Unternehmen Zitadelle was called off and the Germans had to relinquish the ground they’d so bitterly fought for. Without being given time to rest, LSSAH was transferred to Italy in August 1943 to secure the North of the country after the Allied invasion of Sicily. 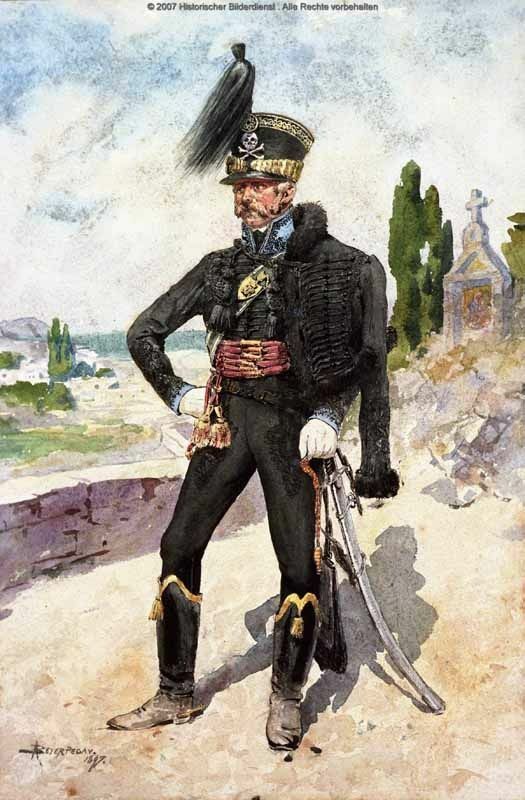 Once Italy’s capitulation was announced in September, LSSAH was ordered to disarm nearby Italian troops, which didn’t go without some fights with their former allies. Used in anti-partisan operations, the division once again made a name for itself by perpetrating the worst civilian shooting in the Italian theater, at Boves. In the meantime, it was officially reorganized as a Panzerdivision. Sent back East in November 1943, it took part in the Winter 43/44 campaign, spearheading the relief attempts to save (parts of) the surrounded 1. Panzerarmee in the Korsun Pocket. After a while, the division was once again pulled out and moved to Belgium, passing its heavy equipment to other divisions staying in Russia, to rest, refit & reequip before the expected Western Allied invasion. By now, although converted to a powerful Panzerdivision, LSSAH was on the decline. Not only had it suffered too many losses in combat in the previous campaigns, it also had to give up a large number of NCOs and junior officers, picked up among the best ones, as cadres for the newly created 12. SS-Panzerdivision. The recruits it was given to fill the ranks were not of the quality they had been before, even the LSAAH had to lower its harsh criteria to replace its losses: men were either conscripted Germans (while the SS had up to then been an all-volunteer forces) or even pressed Volksdeutsche of dubious loyalty to the Reich. 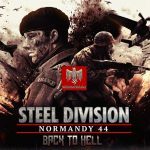 LSSAH started arriving on the Normandy front in the last week of June, being regrouped (aside from the units left in Belgium) on July 1st only. The division was engaged in small Kampfgruppen, as “firemen”, in the Caen sector for most of July: against the Canadian at Carpiquet on July 5th (Operation Windsor) or the British tanks near the Bourguebus-Verrières ridge on July 18th (Operation Goodwood). 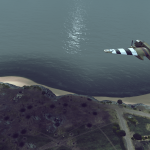 The situation changed for LSSAH with the successful American breakthrough in the Saint-Lô sector (Operation Cobra) on July 25th. Alongside several other (or part of) Panzerdivisions, it was moved against the Americans and ordered to counter-attack. Despite losses, LSSAH was still powerful on paper, having received numerous replacement tanks. Yet Unternehmen Lüttich, started on August 7th, soon bogged down and turned into the death throes of the Panzerwaffe in the West. 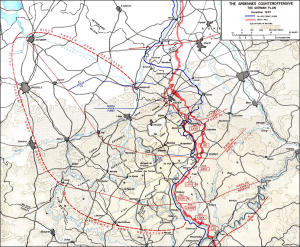 LSSAH retreated East with the rest of the German armies in Normandy trapped in the Falaise pocket. It had maintained enough discipline to be used as the core of the armored Kampfgruppe created to spearhead the breakout from the pocket. Losses in Normandy amounted to most of the division’s vehicles & artillery guns, as well as 5 to 6,000 men out of an authorized strength of 19,000. It was during the breakthrough that Theodor Wisch was severely wounded to the legs, requiring both to be amputated. Command of the division passed to Wilhelm Mohnke. Once again refitted, with priority on men and equipment, LSSAH & 12. SS-Panzer were selected as the spearhead of the 6. 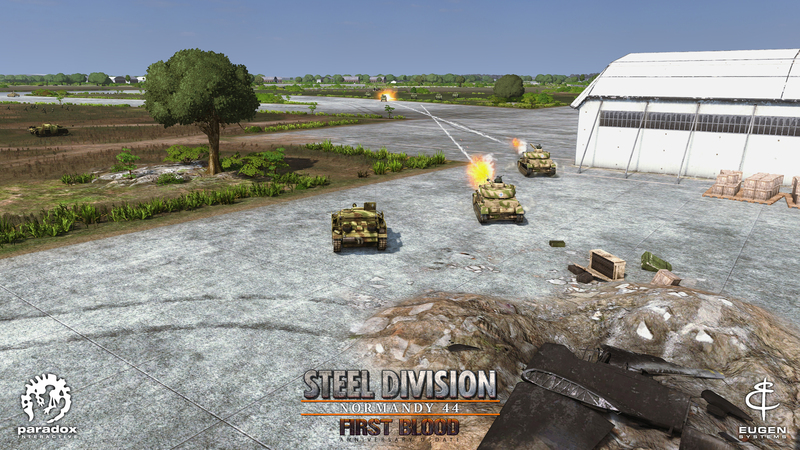 Panzerarmee offensive in the Ardennes, with the most important mission: capturing Anvers. To do so, a Kampfgruppe Peiper was formed from elements of LSSAH, outfitted with the best men and vehicles, including Königstiger. From the start, things went wrong. 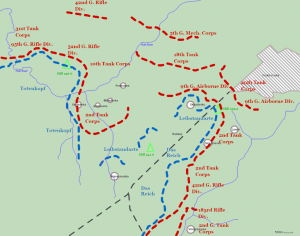 Unexpected American resistance delayed LSSAH movements and forced KG Peiper to look for an alternate route. On December 17, the second day of the offensive, Peiper was already 16 hours behind schedule when he encountered elements from an American artillery observation battalion. The lightly armed Americans quickly surrendered and were gathered in a field, where the approximately 120-150 of them were soon to be mowed down by machine-gun fire shortly after Peiper himself had departed. 84 American POWs were killed while the others managed to escape and hide in the wood. 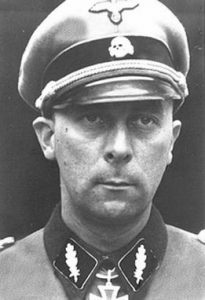 KG Peiper‘s trail was to be one of POW & civilians executions. Nevertheless, Peiper never reached Anvers. He didn’t even reach Lièges. It was stopped shortly after Trois-Pont, in La Gleize where, cut-off and short of fuel & food, he was forced to switch to the defensive and wait for reinforcement and supply. But none ever came and Peiper had to destroy his vehicles and walk back to German lines on foot. 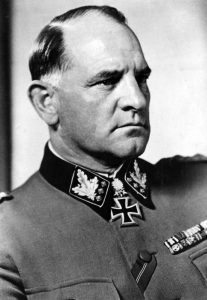 With no more prospect for victory in the West, LSSAH was pulled out of the Ardennes and sent East again, under a new commander, Otto Kumm. Barely given time to rest and replace its losses, it was moved to Hungary to take part in Unternehmen Frühlingserwachen (Operation Spring Awakening, a.k.a Lake Balaton Offensive) the German attempt to recapture Budapest and the oilfields South of Lake Balaton. 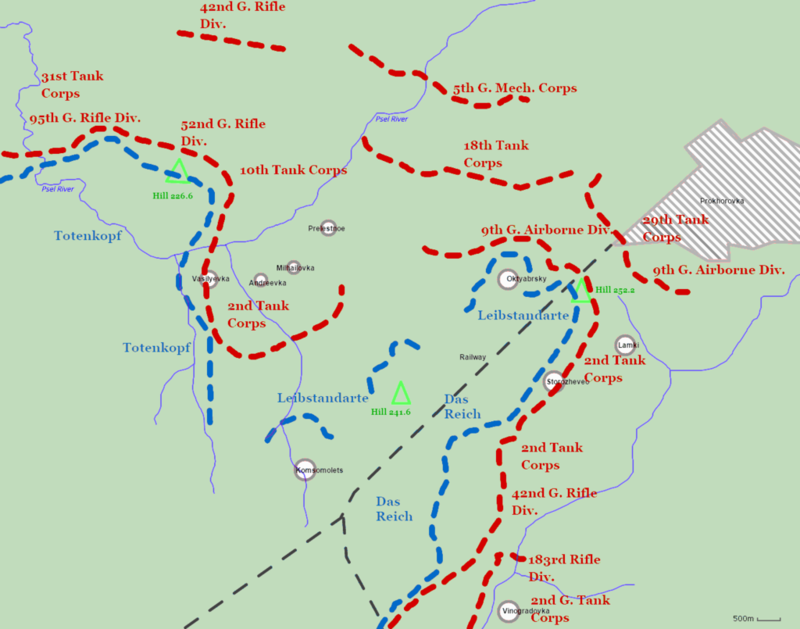 But Soviet intelligence had detected the incoming offensive and prepared an in-depth defense to meet it. The operation, beginning March 6th, 1945, was doomed from the start and on March 16th the Soviets counter-attacked, forcing the Germans to retreat. Upon learning about this failure, Hitler had a telegram sent to the ‘Sepp’ Dietrich, commanding 6. 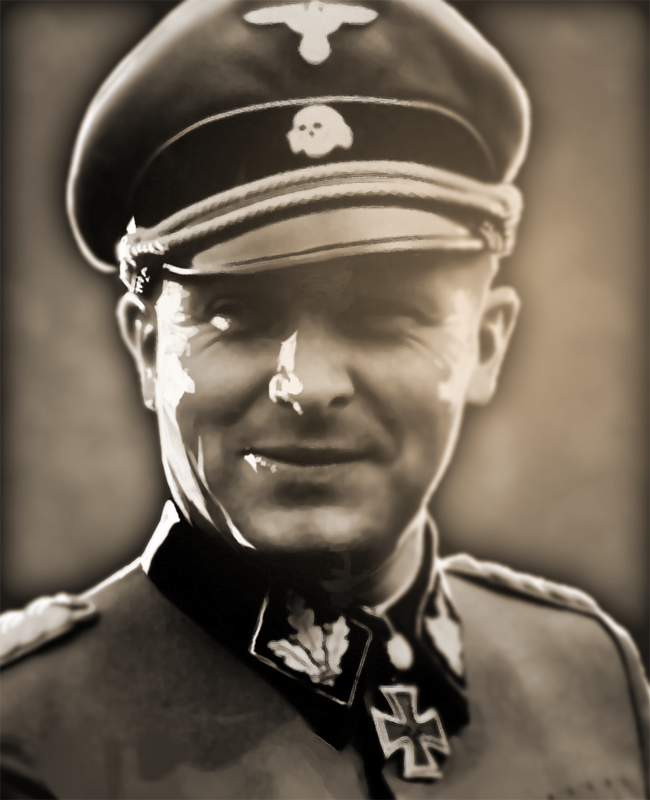 SS-Panzerarmee, on March 27th, reading that the troops didn’t fight hard enough, especially the LSSAH, and demanded that they remove their honorary armband bearing his name as a punishment. Dietrich refused to relay the order. 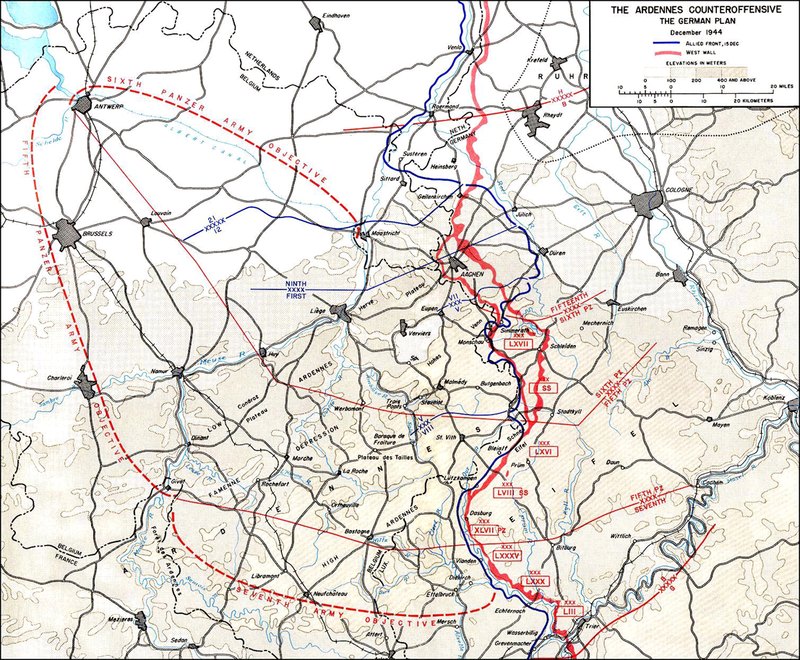 The bulk of the LSSAH fought as it retreated West, taking part in the defense of Vienna before surrendering to the Americans in Steyr (Austria) on May 8th, 1945. Other elements still in Berlin fought during the siege of the city as part of Kampfgruppe Mohnke, their former commander now in charge of the defense of the central government district. After Hitler’s suicide, they tried to break out of the city, but few succeeded, most ending up dead (some by their own hand) or captured by the Soviets. Although already showing some signs of wear at this stage of the war, Leibstandarte remains a formidable fighting force in the Summer of 1944. RECON: half the division’s armored scouts were missing, but LSSAH was among the first to receive a full complement of Pumas. INF: a mix of elite & veteran infantry and disheartened SS-Volksdeutsche pressed in large number in its ranks. The elite Ostkampfer are represented by SS-Stosstrupp with MP-44. 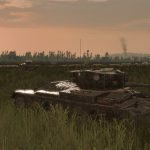 TANK: more tanks and/or less expensive than a regular Panzerdivision, although many of them are downgraded Panzer IV J. AT: few towed anti-tank guns, but assault guns in the AT tab instead as Panzerjäger StuG. 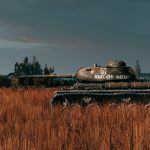 Meaning the StuG do not come in competition with tanks for TANK slots but can be taken in addition to them. SUPP: with no fire support half-track delivered before or during the campaign, LSSAH has to rely on towed IG 18 or Grille in that role. AA: more Flak 88mm than a regular Panzerdivision but missing almost all of its Flak 37mm guns. Economy: LSSAH’s economy is quite low in A, then rise abruptly in B and remain the same in C.
FIRST BLOOD, free anniversary update will be live on May 17th.